If you expect mold in your residence or building, give us a call today! Few things are as aggravating as finding out you have mold in your property. Not only is there a distinctively unpleasant smell to deal with, but mold spreads quickly and can become a serious health risk for you and your family. What’s worse, many contractors don’t know how to remove mold safely and completely. However, if spores or growths remain, it’s only a matter of time before the mold comes back – possibly worse than it was before, and requiring more extensive (and expensive) removal efforts. Let professionals at Kelley Construction Contractors, Inc. protect your property and family by providing quality, affordable mold remediation and removal. Unfortunately, mold can grow anywhere there is moisture, both indoors and outdoors. Mold spores can even travel from the outside to the inside of your property. No matter where you find it, the mold experts at Kelley Construction Contractors, Inc. can take care of it. Bathrooms are the ideal place for mold to grow. 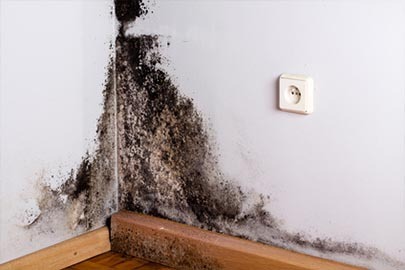 Between hot showers and running sink water, there are endless cracks and crevices for mold to manifest. Besides being dangerous for your health, you also don’t want guests to experience black mold around your bathroom. Common places you may find mold in your bathroom include showers, tubs, sinks, toilets, and tile. If you notice mold in or near any of these surfaces, call Kelley Construction Contractors, Inc. for your bathroom mold removal services. Ignoring kitchen mold is hazardous not only for the surfaces it affects but also for your food preparation. Common areas that you may find mold in your kitchen include in or near your sink, refrigerator, pantry, trash can, stove, dishwasher, and microwave. If you start to notice even the tiniest bit of mold in your kitchen, call Kelley Construction Contractors, Inc. for professional kitchen mold removal services. If you’re like most, your attic is simply a storage unit that you rarely visit. When you think about it, though, it is the upper-most room of your property that comes in closest contact with the outdoor moisture. You may want to keep tabs on the condition of your attic to make sure there is no mold growth on areas like your roof, insulation, or soffit vents. If there is, contact Kelley Construction Contractors, Inc. for your attic mold removal. When you want residential mold removal done right, by a team of experts who put your budget and satisfaction first, call Kelley Construction Contractors, Inc. to see how we can help. We serve property owners throughout Peoria, Bloomington, and Central Illinois, helping you to make the mold disappear and put your life back on track!